Associated Pallets manufacture a wide range of bespoke wooden crates and cases. 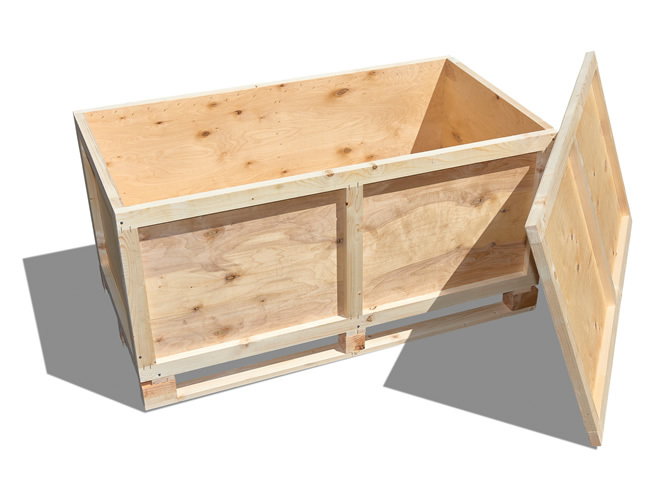 These can be lined to make waterproof and also Heat treated to ISPM15 Certification for export. Please see below the three different types of wooden crates and cases we supply made to order in most bespoke dimensions. Plywood crates are made using 9mm plywood and a 19mm timber frame. Options with this style are waterproofing using tarred paper or blue lined plastic. Batons for internal packing and foam lining available. 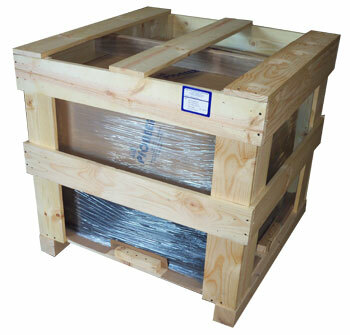 As all of our crates, this crate can be Heat treated to ISPM15 for export. Typical uses are road and air transportation. 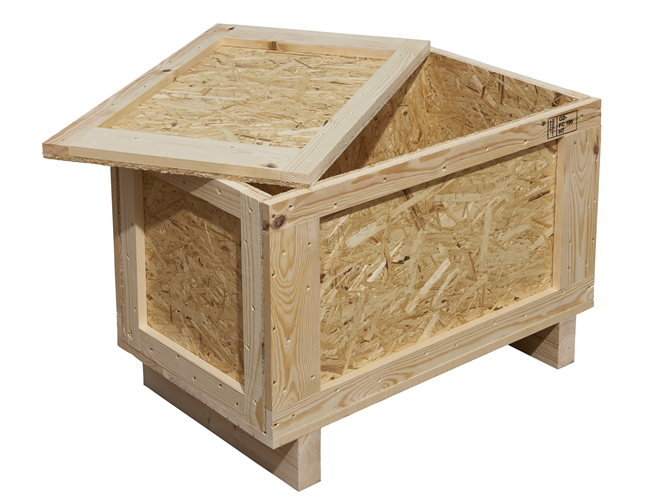 Our sterling OSB board cases are made using 8mm OSB sheets and 19mm Timber frames. The case can be nailed or screwed and comes with a loose top or top and door for ease of packing. This style of crate is commonly used in road and air transportation. Open slatted crates are made using 100mm x 19mm timber boards. Generally the most cost effective. Internal batons are an option to steady your cargo. Supplied with loose top or sides or both for ease of packing. Can be Heat treated to ISPM15 for export. Typically used for transport by road.